The Ultimate Conversion Webpage Review webinar series reviewed several websites to show where owners go wrong in their conversion optimization efforts. Conversion is the marketing technique of converting casual visitors, or traffic, into paying customers. Although traffic is the lifeblood of any website, empty traffic can be useless in sustaining any online business. 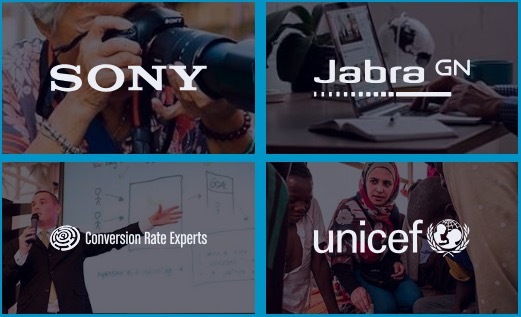 In this webinar, Convert teamed up with Creative Thirst‘s Bobby Hewitt to review a number of things many websites do wrong which ends up hurting their conversion rates. While conversion rate optimization is one of the best ways to increase profits, not knowing how to use it can actually keep you from making the most of your business. For the complete webinar series, you can watch its entirety here. Web fonts are, unfortunately, given little consideration beyond the design and prototyping stage. It’s assumed that if your content is good enough, people will read it, no matter what the typography looks like. But several eye tracking and readability studies have determined otherwise. X-Height. A typeface with low x-height can cause lowercase letters to appear very small. Line Length. Lines that span too much space can make text difficult to follow. This is why columns are often used. Increasing font size can improve your conversion rate a lot, something a big corporation like McAfee ought to have got right in the first place. What else was found to be not so very effective during the review is the top image of two women with a red binder that wasn’t congruent with the value that the page was offering. The page says ‘Growing your business is your priority, protecting it is ours’, a great phrase that the image could have done better to convey. What McAfee is doing here is relying on its globally-recognized and popular brand with no persuasive elements on the page whatsoever. An example of this can be seen from the meeting software being marketed without bothering to go into specifics of what the software actually does. Generic business stock imagery has also been used and this is not congruent with protecting or growing or even security of your business. Another element that was evaluated is the ‘Learn More’; a button at the top of the page competing for attention with ‘Add Products to Cart’. If this is your shopping page, what you want is to have people look at your products or add them to their shopping cart. Looking at the ‘Learn More’ button, it doesn’t even get to a category level page. All it does is go into a product with subscription service – a disconnect on what they promise, and what they actually offer. As you scroll down the page, you see three ‘Add to Cart’ buttons which are located quite far away from the product on sale itself. If you look at the physical distance between the product and the call to action button, the giant white space is just too pronounced. This is even made worse given the small font employed on the page: if the font size were a little bigger, it could really help close in the unused expanse of blank space – another thing to test. Alternatively, what would even be better is to bring the call to action button closer to the product, just directly underneath the product. Another issue with regards the green Add to Cart buttons is it seems to be a little premature in the conversation given they are situated on the store homepage. A potential customer may not be ready to add to cart yet. So what happens when one clicks the McAfee Add to Cart buttons – does it get you to the cart or to a product detail page? It does indeed take you directly to the cart, so in this instance, it would be suffice to say that the entire sale is relying on the green check boxes only. A bad thing? To some extent – yes. When you look at the bigger picture by factoring in the product image above the green ‘Add to Cart’ buttons, when you click on the image, it directs you to a page that explains the product on offer in more detail. Anything amiss that you would think of testing on these two elements? Precisely – a ‘Learn More’ button would be in order since this would lead the prospects into more clicks, instead of having them click on the image to get the details. Ideally, what would be best in McAfee’s case would be to land on the shopping home front page, then on to the product detail page and finally to the cart: having a very linear funnel instead of jumping directly to cart. The whole point should be such that the homepage gets the shopper to the category page, then the category page gets them to the product page, and the product page gets them to the cart, and from cart it’s check out. When a customer lands on the page with the intention of making a purchase, they just have like 3-5 seconds to evaluate what the page is all about. They are not going to get into specifics and roll over their cursors everywhere like this review has. As such, this page could be accused of being a little too greedy since there are potential links everywhere trying to get you right to the cart, and the result? – call to action buttons that are all mixed up and end up hurting the conversion rate. For the complete webinar series, you can watch its entirety here.